With more than 200 Minecraft recipes, including smelting and brewing recipes, a handful of ingredients are common across several types of recipes. Here are the ten essential ingredients that you need to acquire. 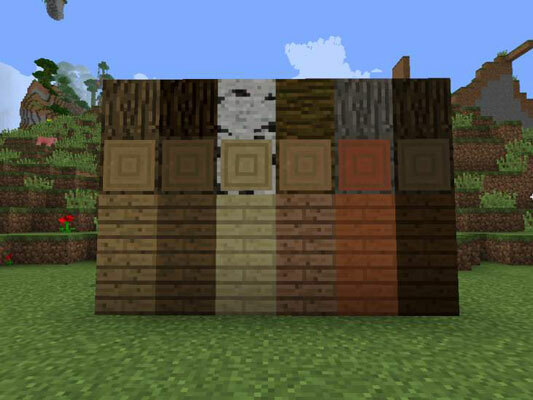 Wood is the basic ingredient that interlinks all craftable items in Minecraft. You cannot finish the game, or even advance in it, without wood. You can obtain wood by chopping, digging, mining, slicing, or basically breaking it in any way possible. Wood is generally crafted into planks and then used in crafting an impressive number of items, including buttons, fences, boats, ladders, planks, torches, trapdoors, doors, signs, bowls, wooden weapons, and tools. Wood not crafted into planks is also an essential ingredient in the furnace. Sticks are used in a total of 21 recipes. A full stack in the inventory requires 32 wood planks. In your Minecraft recipes, wool is the only way to go to bed and style your house. You can obtain wool by killing sheep, using string in a 2-by-2 square, or finding black wool in a village. A more efficient way to get wool is to shear sheep; that action gives you 1 to 3 blocks of wool, and sheep can regrow their “coats” by eating grass and tall grass. Wool is considered an essential ingredient because of bed crafting. Wool can also be used in advanced redstone circuitry. Wheat is obtained by the wheat crop, but it can also be uncrafted from hay bales. 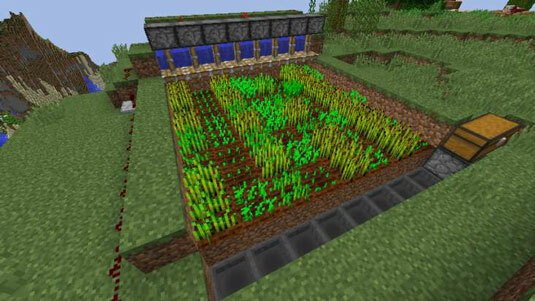 By punching long grass, you have a chance of getting wheat seeds, which can be planted into farmland. Wheat grows in 8 stages, growing taller and changing shape in each one. When wheat’s fully grown turns from a yellow green to a darkened yellow. After it’s fully grown it drops 1 wheat and 0 to 3 seeds. If destroyed and not fully grown, wheat drops only seeds. You may already know that cobblestone was the first block added to Minecraft. It’s now used to create all sorts of items, including andesite, stone axe, brewing stand, cobblestone wall, diorite, dispenser, dropper, furnace, stone hoe, lever, moss stone, stone pick, piston, stone shovel, cobblestone slab, cobblestone stairs, stonecutter, and stone sword. Gunpowder destroys your enemies, and gunpowder has some explosive recipes. Obtaining it is somewhat tricky because you have to defeat some hard mobs. To get some, you need to kill a creeper or a ghast or a witch. You can also find gunpowder in dungeons. You can use gunpowder to craft fire charges, firework rockets, firework stars, and TNT. 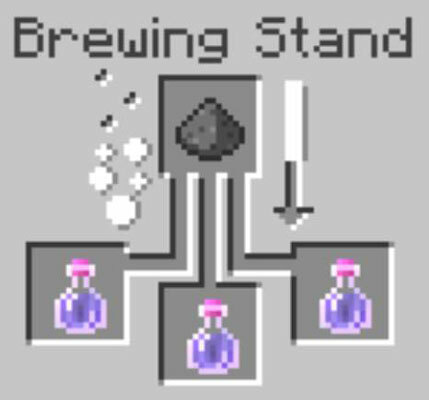 Additionally, gunpowder is the only ingredient that can brew a splash potion. Many players prefer splash potions to positive potions, making gunpowder a fan favorite among brewing masters. You can find iron in ore form, but smelting the ore makes it useful, by turning the iron ore into iron ingots. Add some sticks and you have an iron sword, iron pickaxe, axe, shovel, or hoe. And you can craft activator rails, anvils, blocks of iron, iron boots, buckets, cauldrons, iron chestplates, compasses, detector rails, iron doors, flint and steel, iron helmets, hoppers, iron bars, iron leggings, minecarts, nether reactor cores, pistons, rails, shears, iron trapdoors, tripwire hooks, and heavy weighted pressure plates. Iron ingots are an ingredient in 27 recipes, making iron ingot the item with the most recipes in the desktop version of the game. To obtain gold, you have to dig deep or kill pigmen. You have to smelt gold ore in a furnace to get gold ingots. You can also craft gold ingots with 9 gold nuggets or uncraft a block of gold into 9 ingots. Gold is also used to craft the 4 basic tools, but they can also be used to craft a sword and the 4 pieces of armor. Additionally, the gold pickaxe, axe, and shovel break most blocks faster than the other tools do, including diamond, but they all have a durability of 33. You can also craft a block of gold, a clock, gold nuggets, golden apples, powered rails, and a light weighted pressure plate. Redstone is the most powerful, and perhaps the most fun of all the stones. After you find it, its effects can be life-changing. 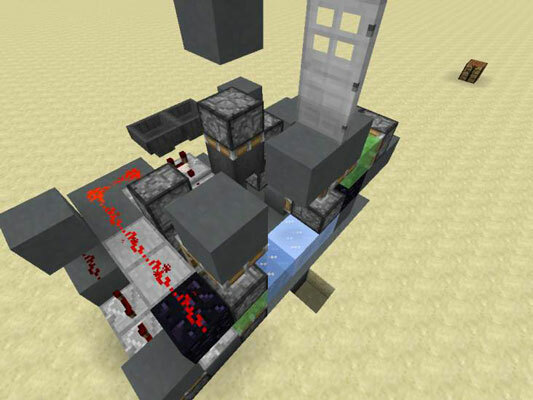 Redstone powers all redstone contraptions and can be used to manipulate rails. Without redstone, Minecraft would have no automatic farms, no automatic brewing machines, no powered pistons, no traps, no one-hit xp-farms, or no piston doors. Additionally, redstone is used to extend potions. You can also place it down where you can then use it to allow the function of other objects, but you need to power the redstone with a redstone torch or a redstone block. You have discovered diamonds when you see the light blue ore in your favorite cave. But you can obtain diamonds in alternative ways: You can uncraft the block of diamond, or you can find them in a chest at a village or desert temple. Smelting diamonds is inefficient. You don’t get to benefit from the fortune effect enchantment. Obtaining diamond ore in Survival mode is difficult. 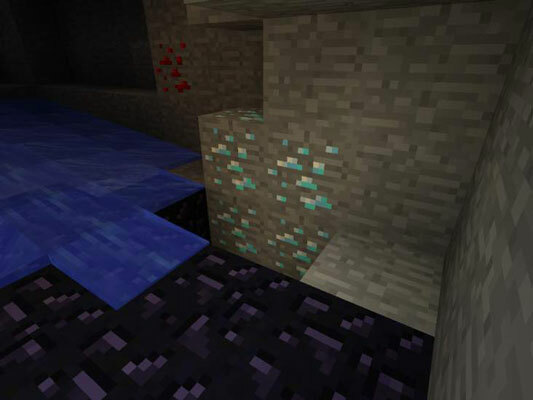 To get diamond ore, you need to mine the ore with a pickaxe that has been enchanted with the silk touch enchantment. Diamond is considered end game material, so don’t expect to find it on your first day.